Dedicated to Improving Connecticut’s Mobility & Quality of Life. Middlesex Center for Advanced Orthopedic Surgery is committed to the enhancement of life by providing access to quality surgical care services delivered in an efficient, cost-effective manner. MCAOS provides effective outpatient services using modern, state-of-the-art technology in a friendly and caring environment by highly skilled, compassionate staff serving Middlesex County and surrounding communities. We strive to provide a "5 Star" level of service to our patients and surgeons, by providing them with the kind of personal attention they deserve. Each physician at MCAOS is a Board Certified Orthopedic surgeon. Whether you are looking for sports medicine, foot and ankle, or a general orthopedics physician, our doctors are here to meet your needs. The surgical staff and center are as good as it gets! I now have had six surgeries at MCAOS and I couldn't imagine where I'd be had it not been for them and the great job they do. 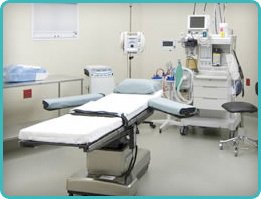 The staff's professionalism as well as the surgeons attention to detail exceeds all expectations. " Middlesex Center for Advanced Orthopedic Surgery is re- accredited!